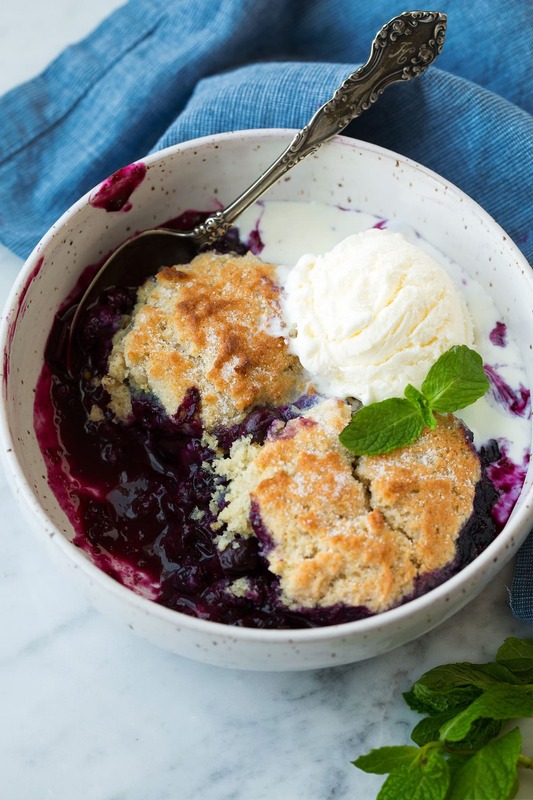 Successfully saved Blueberry Cobbler to your Calendar. You can also save the ingredients to your Grocery List. A bowl of warm Blueberry Cobbler is the perfect comfort food on a cold winter day! It's soon to be a favorite dessert with it's juicy fresh blueberry filling and tender, buttery biscuit topping. Just don't forget the vanilla ice cream, it's the perfect finishing touch. These Frozen Yogurt Berry Bites Double as Smoothie Prep!